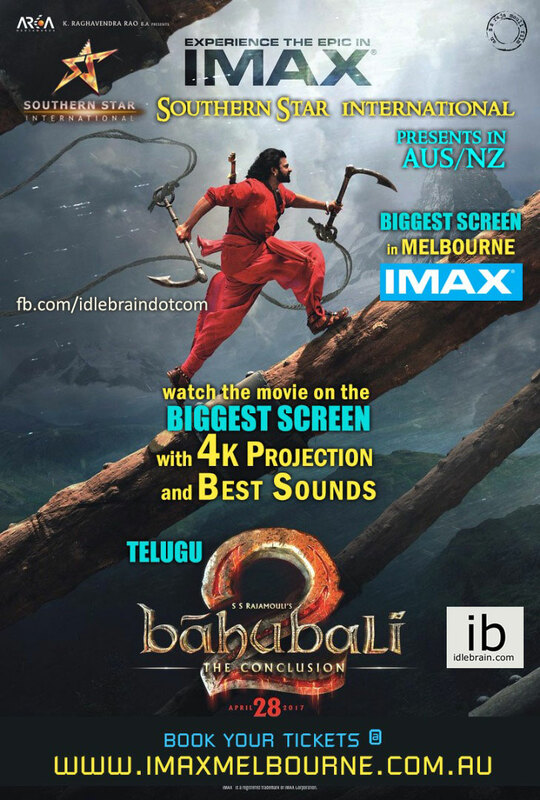 "Bahubali 2 madness begins in Melbourne"
For the first time in South Indian movie history in AUS/NZ, Southern Star International is proud to release “Bahubali-2 the Conclusion” premiere in world’s third largest IMAX in Melbourne! IMAX session almost sold out in less than 6 hours!!!!!!!! Stay tuned for further release of sessions from Southern Star International! Please feel free to contact below numbers if you would like to advertise and be part of the biggest movie ever made in Indian film history.